As a way to thank all of you in Dodgers Nation for making us the largest Dodgers fan site in Facebook and Twitter, we have teamed up with the guys at BigRAudio.com to giveaway a great prize to help you enjoy Dodger games even more. As you can see, these headphones are the real deal, officially licensed headphones of Major League Baseball. They include a microphone, so you can use this with your favorite mobile device. 1) Become a Fan of our Dodgers Nation Facebook Fan Page. Post on our Facebook Wall – “I want the Dodgers BigRAudio.com Headphones! – Become a Fan of http://Facebook.com/DodgersNation! 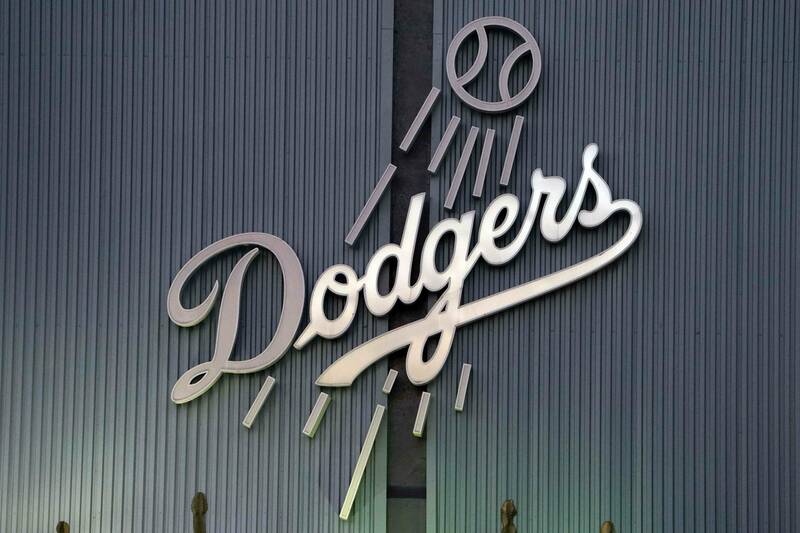 2) Follow Us on Twitter @DodgersNation and Tweet this Message (Click it! It automatically types everything for you :)). Make sure to follow both @BigRAudio and @DodgersNation as you might be contacted through DM if you are the winner. 3) Leave a Comment on this Post and Tell us Your Favorite Dodgers Moment! You can do all three of these once a day, so at the end of the giveaway, you have the potential of having 21 entries into this raffle. A winner will be randomly selected and announced on October 22, 2012. If the winner does not collect their prize within 24 hours of announcement, we will continue to select a winner until someone comes forward to claim the prize. PreviousReviewing 2012: Hanley Ramirez saw the most of his opportunity in L.A. Favorite moment was Adrian Gonzalez’ first HR as a Dodger on his first game!!! Favorite Dodger moment for me was on October 8th,2009 Game 2 of the NLDS (also happened to be my birthday that day) when the Dodgers were playing the Cardinals and it came down to the Bottom of the 9th.With two outs in the bottom of the 9th and the Dodgers trailing, 2-1, James Loney hit a line drive right at Holliday in left field. All Holliday had to do was catch it, and the game would’ve been over. The Cardinals would’ve evened up the series at one game apiece. But Holliday failed to make the catch.Casey Blake then drew a nine-pitch walk and Ronnie Belliard followed by ripping the first pitch he saw into center field for a game-tying single.Russell Martin walked to load the bases, and then Mark Loretta cashed int the walk off game winner…that was one of the best moments not only in my life but in the illustrious history of the Los Angeles Dodgers…. There’s so many to choose from. The I would have to pick is Eric Gagne streak without a blown save. “LIMA TIME” during the 2004 playoffs against the Cards! Lima hadthe crowds on their feet and cheering like crazy…Shawn Greenhit two solo homers as the Dodgers won their first postseason game since the1988 World Series. Favorite Dodger moment that I lived through and vividly remember (because I was there!) is easily the game on September 18, 2006 against the Padres. Bottom of the 9th our boys are down 9-5, but it wasn’t over yet. We hit 4 consecutive homeruns to tie it (Jeff Kent, JD Drew, Russell Martin and Marlon Anderson). I’ll never forget how ridiculously electrified the crowd was. Then in the bottom of the 10th, we’re down again 10-9.. still not giving up Nomar Garciaparra hits a walk-off 2-run homerun and the rest is history… If I correctly recall, we swept the Padres that series and that’s definitely the icing on the cake! I still can’t believe I had tickets to that game and actually experienced it, let alone it actually happening.. When we got hanely ? When we got Hanley ? I’m a Dodger fan that when I attend a game in person will ALWAYS stay until the final out. One of the great things I love about the game is no time clock. So yes, I was there when Kirk Gibson hit his famous home-run to win the World Series game. But the game I’ll never forget was as a child when before the game I was able to meet Don Drysdale and Sandy Koufax. The 2 were walking together just outside the bull pin and stopped to sign autographs. My father saw that and quickly ran over to get an official ball at the souvenir stand and ran back. Both signed the ball for me! Being a left handed player it was Sandy that inspired me to learn to pitch. That evening was September 9th, 1965, yes, I had the joy of seeing my hero pitch a perfect game! I still have the ball, and it is NOT for sale. I actually showed a sports memorabilia shop the ball one time where he then told me that Don Drysdale’s signature wasn’t real. Hard to tell the person that watch them both sign his ball as a kid, and wished me well. When I told Sandy I wanted to be a pitcher and he say my glove on my right hand, the showed me how to hold the ball for a good curve ball. I had a good curve, but it could never come close to Sandy’s. All of it. All the Ups and Downs. Going through the McCourt era… going out of the McCourt era. Making the Postseason. Watching James Loney hit a Grand Slam against the Cubs. Being the Underdog. Dodgers 4 life! My favorite moment would be the dodgers making a major comeback in the last inning against the D-Backs making 4 homeruns in a row. Me, my dad, and my uncle were walking out the stadium as we thought the dodgers had lost for sure. Just to stay tuned, my dad turn the radio on to the game. As we sit there in disappointment, we hear Kent has scored a homerun. Right away me and my uncle say we must go back and watch but my dad said that was luck and they were still down 3 runs. As we begin to head out of the parking lot, we hear the dodgers make ANOTHER homerun. Now we’re begging to go back but its too late. We’re on our way home. As we begin to enter the freeway, we continue the dodgers make another 2 homeruns to tie up. Now we’re just in shock and anger,but my dad said they wont be able to to more than that. Once we go home, we find out that the dodgers won it in the 10th inning 11 to 10. Now all we have is dodger blanket they gave and the ticket as a reminder that we had missed a memorable time in dodger history all because i had school the next day and my mom wanted tacos on our way back. To add insult to injury, my father bought a bottle opener with a automatic voice that would yell “THE DODGERS DID IT! CONTINUOUS HOMERUNS!” -____- But despite that, it was also a great memory for me because each time we go to a dodger game i get to spend quality time with my dad and uncle. My favorite Dodgers moment was that amazing comeback in which the Dodgers hit 4 homeruns in a row and having Nomar close it up in the 10th! My other favorite moment was before I was born but my dad was there to see Gibson hit that historic homerun in the World Series. I will never get tired of hearing that story and I hope someday I can say a story like that for myself!